Your child has special needs, which means (in most cases) that a typical classroom in a typical public school is unlikely to be an ideal setting. But what are the other options? Fortunately, depending on your child's particular strengths and challenges, there are quite a few possibilities. Read about the pros and cons of each. Your schools are well-funded so that teacher training, aides, therapists, specialists and support programs are available. Your child's particular needs fit nicely into the school's strengths: most schools can provide for students with common challenges, but unusual needs or abilities may be too challenging. Your child is comfortable in their public school and is not struggling with problems such as bullying or marginalization. Public schools are required by law to teach your child, provide appropriate supports, and pay for many services and therapies. Public schools are right in your own backyard, which means your child will know people locally and you will be able to get involved with her education. Your child will have the chance to be included in a wide range of in-school and after-school activities. Public schools are consistently underfunded and are easily overwhelmed by the needs of special students. Public schools may not have the expertise or flexibility to help your child if she has abilities or challenges that don't fit into existing programs (yes, they are supposed to create a program around your child, but it isn't always possible). Public schools can be large and complex places where bullying, marginalization, and other issues can be hard to manage. Charter and magnet schools are also publicly funded, which means they are also free and are also required by law to serve your child's needs. In some cases, they are much smaller than typical public schools, and they may also be a better fit for your child. For example, some charter and magnet schools offer a more hands-on, service-learning educational model which can be great for a child with hyperactivity or even autism. Charter and magnet schools offer the same free and appropriate education as your local public school. Charter and magnet schools may play to your child's strengths and learning style in a way that typical public school doesn't. Smaller schools are often a better fit for special needs students. Charter and magnet schools are often quite a distance from your home. They may have a less flexible program and fewer resources than your local public school. You may find it harder to work with the school to be sure your child gets the support he needs. Waldorf and Montessori developed teaching techniques that are quite different from those used in typical public schools, but which work well for many students. Instead of using words as the primary teaching tool, they use specific types of experiences that allow students to learn visually and kinesthetically. For quite a few students with special needs diagnoses, these types of schools can be a godsend. There are, however, a few caveats. First, Waldorf and Montessori schools are intended for children with normal or above normal IQ's who are capable of managing in a small but socially intense setting. Second, such schools are not required to provide any kind of support or therapy for your child. If your child's needs and abilities make her a good match for a Waldorf or Montessori school, chances are you'll find one or the other within a reasonable driving distance. Your child will receive a quality education in a small setting while also being included with typical peers. If your child does thrive, chances are good that he will find friends and a solid social group. It is very unlikely that you will be able to find funding for a private school intended for the general population, though you may qualify for a scholarship. If your child really does need more support than is available at the school, there is a good chance the school will ask her to leave. You may find that your child's challenges make it very difficult to keep up with the curriculum. Homeschooling is increasingly popular, especially among families of kids with special needs. Homeschool gives you ultimate control and flexibility, making it easier to create an ideal educational program and setting for your child. Sometimes your district will help you out financially, provide computer-based learning tools, or send tutors. You may also be able to tap into public afterschool programs, homeschool community programs, and a slew of other local resources. You control your child's educational experience and environment and can design it to be a perfect fit. It is possible to completely avoid problems with educational roadblocks, bullying, test anxiety, and other school issues. You have a tremendous opportunity to help your child build skills by focusing on areas of need and building areas of strength. If you work full time, it may be impossible to homeschool. Many parents find homeschooling to be overwhelming and difficult, especially if their child's special needs include significant emotional, intellectual, or cognitive challenges. Homeschooling can be isolating, and finding the right homeschool groups can be difficult (particularly in rural areas). As the number of children with "special needs" has grown, so too have private schools that cater to such children. Often, these schools are very expensive, but if you can show that your public school district cannot provide a free and appropriate education they may be obliged to pay the cost of a private setting. This is only the case, though, if the special needs school is accredited (which means tiny start-up schools will not be an option). General "special needs" schools often list a whole slew of diagnoses on their websites (everything from dyslexia to autism to sensory challenges, for example). But because the schools are private, they have the option of selecting the students they feel they can serve. Thus, even if your child seems to fit the criteria, the school may turn you down because her symptoms are different from or more severe than their ideal student. All staff at special needs schools are ready, willing, and able to work with children like yours. Special needs schools are designed to provide programs such as social skills training, remedial reading, etc., so there is no need to ask that such programs be created for your child. Because all the children have special needs, there is a better chance that your child will be socially accepted. If you are paying for a special needs private school, you will be paying a lot. The law does not require private schools to follow all of the same laws and procedures required of public schools. Because they are outside your local community and families may live quite a distance away, it can be hard to get to know the community or your child's friends, teachers, and therapists. Whether your child has autism, ADHD, OCD, "language based learning challenges," anxiety, cognitive disabilities, or mental health issues, there is almost certainly a school out there that specializes in her diagnosis. That means that somewhere in the United States (and possibly in your metropolitan area) there is a "perfect" learning environment for your child. The word "perfect" is in quotations marks, though, because every child is unique and so is every school. If your child has high functioning autism, for example, a school for children with severe autism will be a disaster. 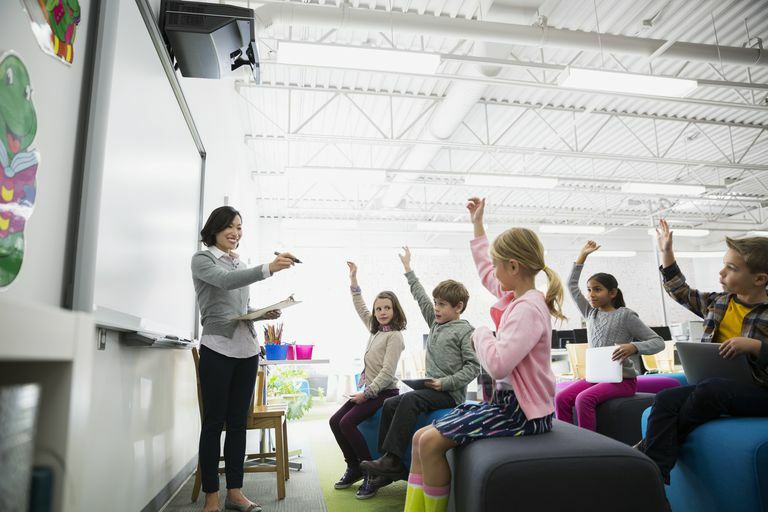 If your child has ADHD along with other mental health issues, you may need to look closely to be sure an ADHD-specific school's student body has the same challenges. As in a special needs school, teachers and therapists are highly trained, but in a condition-specific school they may also have a large "tool box" of teaching options to use with your child. Your child is likely to meet peers with similar interests, strengths, and challenges, which may be a great way for them to find like-minded friends. You, as a parent, will have much less of a challenge in explaining your child's particular issues or getting teachers and staff to say "yes" to well-regarded therapies or teaching strategies. Condition-specific special needs schools are relatively rare; as a result, your child may have to travel a long distance or even become a boarding student in another state. Your child will be exposed ONLY to children with his particular diagnosis, which means he will be quite isolated from the general population (this is true to some degree even if the school is eager to take your child on "outings" into the community). You may be quite disconnected from your child if he or she is not living nearby. Digging even further into specialized schools, it is possible to find private schools that are built around individual therapeutic philosophies. In the world of autism, for example, you can find ABA schools, SCERTS schools, Floortime schools, RDI schools, and so forth. If you are an advocate of a particular therapeutic or philosophical approach to special needs education, this kind of school may be a good fit for you and your child. If you already know that your child does best with a particular therapeutic or philosophical approach, you have found the ideal school setting. Virtually all therapy-specific schools are tiny, which means your child will get very personalized support. Because you already understand and love the school's approach, there is a good chance you'll feel comfortable with the teachers and staff. It is almost impossible to get funding for a therapy-specific school, so you'll be paying out of pocket. Very small schools have very small staffs and are unlikely to provide a range of programs such as art, gym, music, or sports. It is quite unlikely that a therapy-specific school will be around the corner from your home OR able to have to your child board. As a result, you may need to actually move your residence or do a great deal of driving. Money: Public school is free. Resources: Public schools are required by law to provide the teachers, resources, and therapies your child needs to move forward in her education and growth. Private schools are not. And, because they're so much smaller, private schools are rarely able to justify the cost of, say, a chorus director or sensory integration therapist. Inclusion: This is a biggie. Once your child leaves public school it's unlikely that he'll get to know anyone in his own community except you. The more exclusive the school, the smaller the chance that he'll know or be known by neighbors, local friends, peers, librarians, rec directors, or any of the other people and groups that make up the world he lives in.